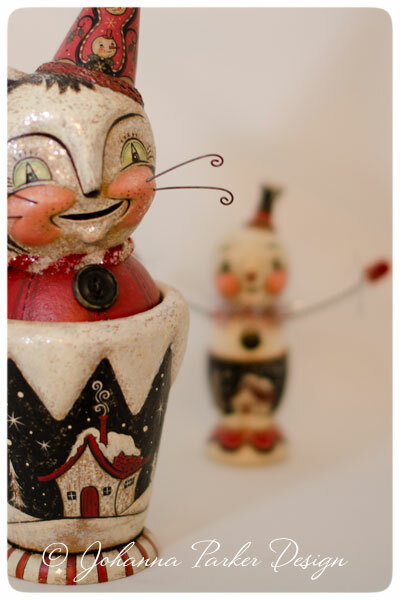 With our 11th Annual Holiday Folk Art Show & Open House just 3 days away, I have been in a frenzy to finish this year's collection of one of a kind wintery-themed folk art! 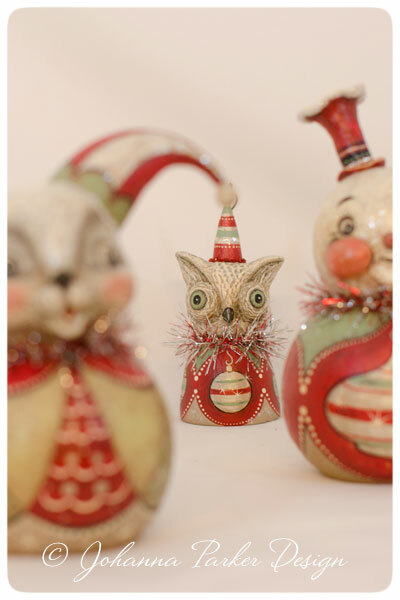 Yesterday, I added the final touches to these special pieces, and squeezed in a little photo session to capture their whimsical spirit! For those of you that have asked for a sneak peek, here you go! 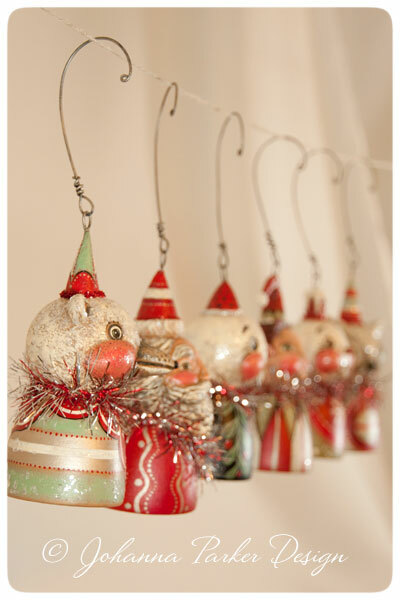 I'd love to linger longer, but I need to decorate and transform our little cottage into a holiday shoppe! Enjoy the photos..... And, for those of you that will be joining us, see you soon! And, bundle up! 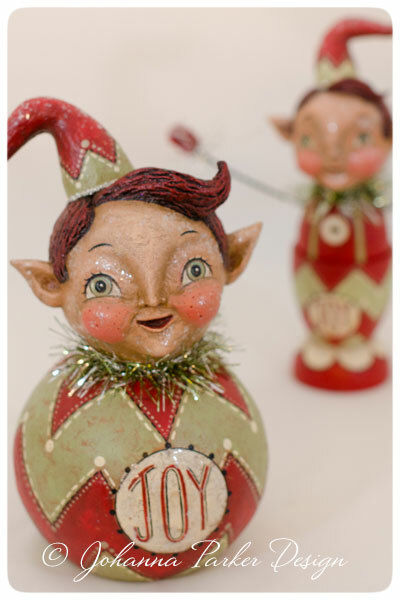 * My first elves are making an appearance this year! And, I created an elf bell ornament too! 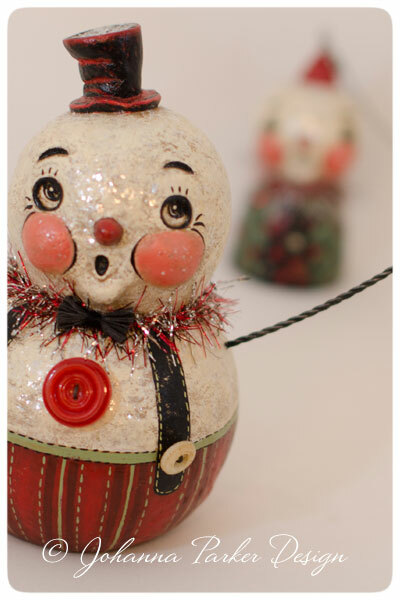 * Of course, the holidays would not be complete without snowmen! 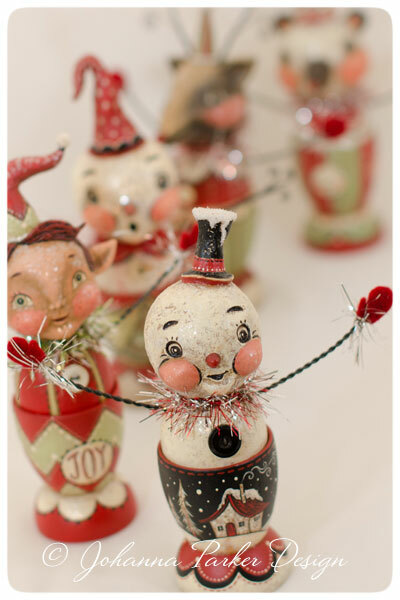 * A parade of holiday egg cup characters are looking cheery and sweet! 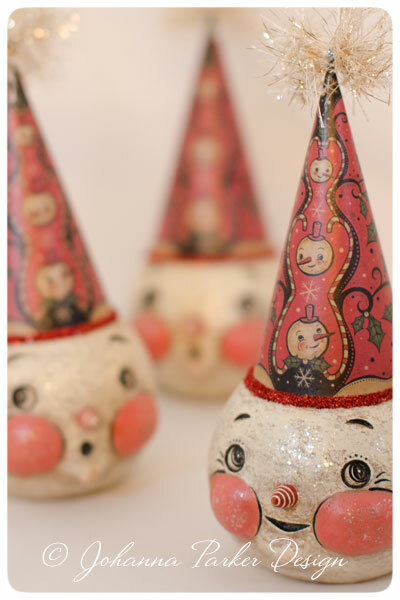 * A trio of shimmery snowmen don my illustrated holiday hats! 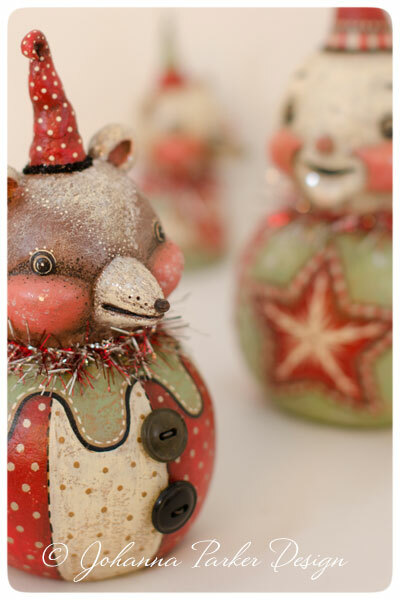 * And, a half dozen bell characters are ready to jingle! 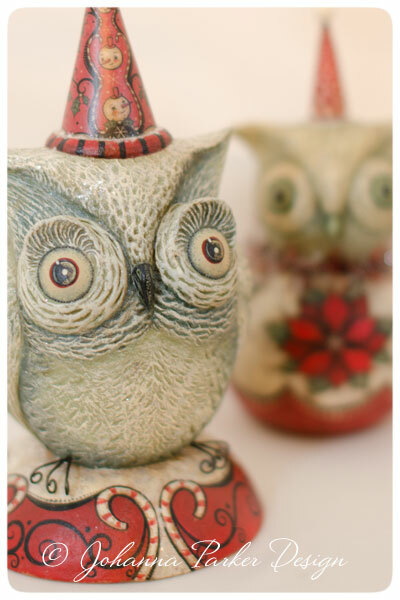 * Hoot Hoot, enter the owls too! 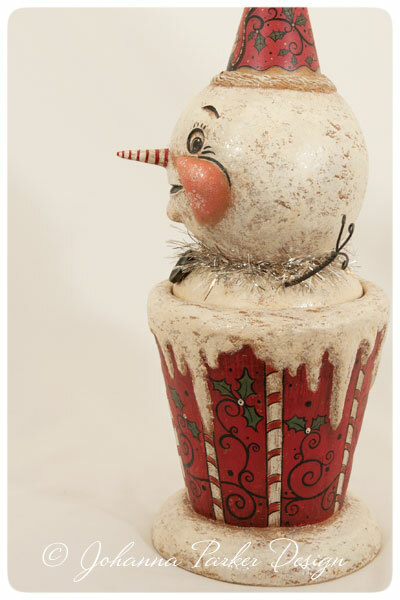 * A delightful snowman candy container stands tall and celebrates the season! 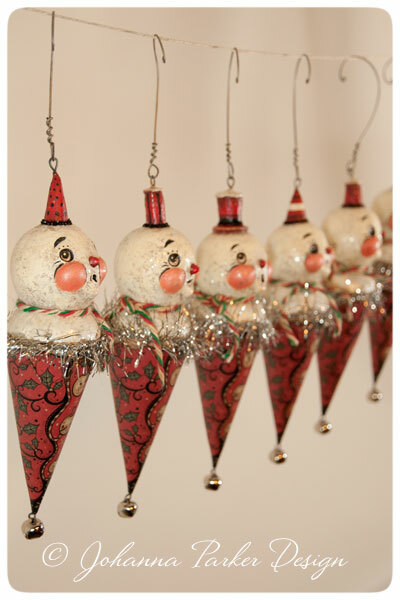 * Snow-Cone ornaments, each unique rest within my illustrated cones! 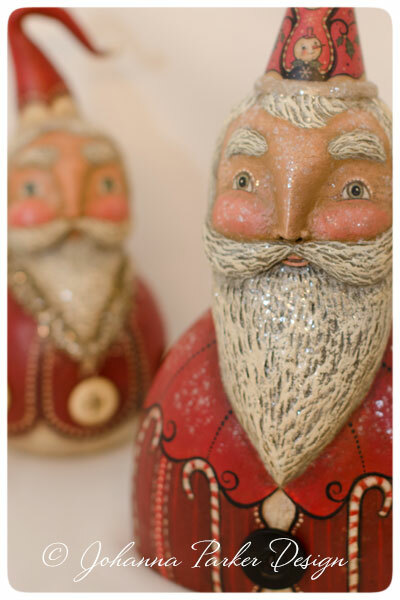 * And of course, Santas are on their way!